To reduce the risk of hitting underground utilities, a underground utility survey utilizing the ground penetrating radar (GPR) technology is often done before starting the ground-intrusive construction work. But besides utilities we can sometimes encounter other unexpected underground objects during construction. Examples of these objects include underground storage tanks (USTs), septic systems, old building foundations, voids, sinkholes, etc. Although encountering these objects is usually not as dangerous as hitting electrical power cables and gas pipes, they could cause costly project delays and change orders. For example, if an UST and associated contamination are encountered, issues such as soil testing, UST removal, stockpiling contaminated soil, and contaminated water pumping all require time and resources to deal with these, causing construction delays and cost overruns. Often there are question raised during these kind of unexpected encounters. 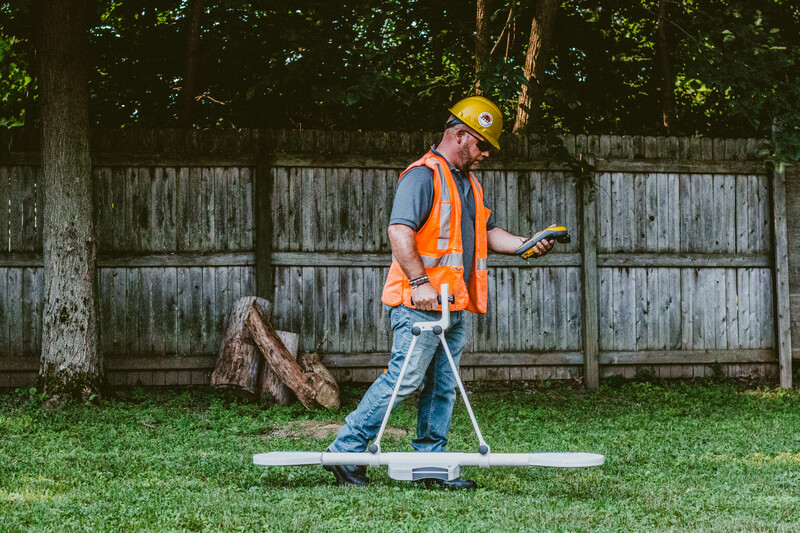 Think about this scenario: you have already used an underground utility locating company with ground penetrating radar (GPR) technology scanning the area, but during excavation you unexpectedly encountered an UST buried about 2 feet down. The utility locators located a water pipe 5-feet down nearby, but they never mentioned the UST, which was much more shallow and bigger than the water pipe. So what's really going on here? It's possible that the utility locators did notice the UST during the GPR survey, but didn't know it's important, so they forgot or did not bother to mention it. But most likely they didn't know there was an UST either. 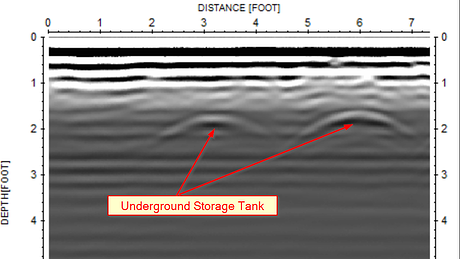 GPR is a great scanning tool for detecting varieties of underground objects. However, GPR is not an all-seeing tool and it doesn't give you exactly crystal clear pictures of underground objects. We all like to drive on bright sunny days because everything is so clear to see, and it's how we feel when we really have good GPR data in favorable soil conditions. Unfortunately in the Tri-State area, we have misty dark nights more often than bright sunny days in terms of GPR data visibility. 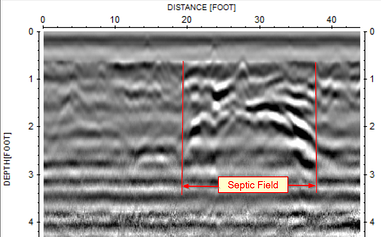 As a result, sometimes underground utilities, USTs and other underground objects are not detected by GPR. Fortunately in underground utility locating, there is a way to compensate for the GPR limitations: line tracing using pipe/cable locators. A “strange” thing could happen as a result: you can detect deep and small-diameter pipes and cables, but not shallow and big objects like USTs. Are there any other ways to compensate for GPR limitations besides cable/pipe locators? There are quite a few geophysical methods out there which could be helpful for your specific underground locating needs, each with its own advantages and limitations. One of the most common methods used with GPR is electromagnetic induction (EMI) mapping. It maps variations of ground electrical conductivity and can be used for delineating both metallic and non-metallic anomaly areas. 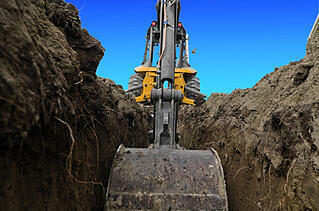 Another popular method is electrical resistivity imaging (ERI) and it's commonly used for locating underground voids. We do find unexpected underground objects with GPR from time to time during our underground utility survey projects. However, the risk of unexpected underground encounters can be further reduced if other methods in addition to Ground Penetrating Radar (GPR) are also used. For construction planning, if other potential underground objects besides utilities are also a concern, let us know and we can discuss the options to minimize the risks. Many methods including GPR actually work better before the ground is disturbed or the site is piled with construction materials. Give us a call to see if Electromagnetic Induction Mapping is the right solution for your next project!